Recently, I was selected to paint a mural at the new Salesforce Transit Center in San Francisco, as part of of the Artspan’s Transit Center Mural Project. The Transit Center is an innovative and sustainable new San Francisco landmark that transforms a transportation hub into an urban experience including a rooftop park, a bus bridge, retail spaces and much more! Myself, alongside with other 37 Artspan muralists were selected to create semi-permanent murals on the ground retail space windows. I completed this mural project over the span of 5 days including a live painting demonstration during the Grand Opening & Mural Unveiling on August 11th, 2018. The mural in its entirety is 40 feet long and 7 feet tall. Below are some photos of mural projects I participated in led by my talented painting partner Joshua Coffy. Joshua and I are available for murals and would love to schedule a time to talk with you about your ideas. Got a wall that needs some art? Let us know. 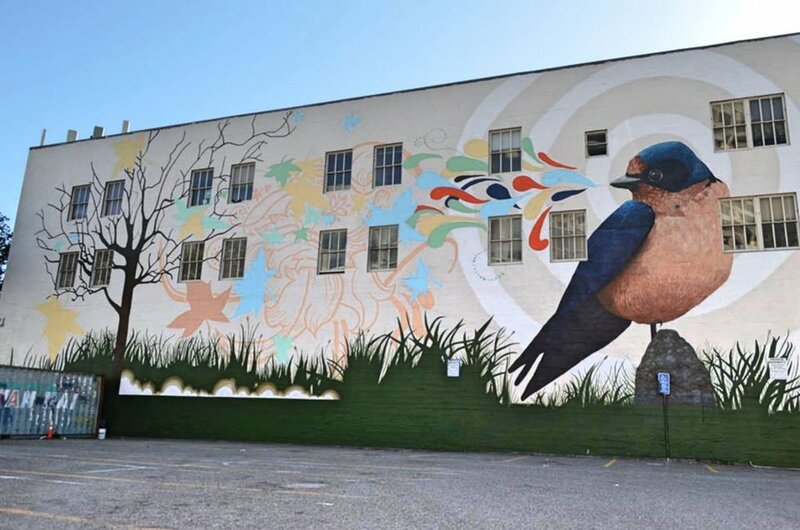 'Bird Song #3' (Designed by lead artist Joshua Coffy) June 2015 - This 6,000 square foot mural is at the corner of Market and Van Ness Ave. It was produced by ArtSpan and Build Inc.
'Space Between The Ears' - October 2017 - Reno, NV. Just off of Virginia St. in Reno Nevada sits this mural created for the Reno Mural Expo in 2017. This was painted by Joshua and myself in just a few days. Tours of the Reno Murals can be scheduled with ArtSpot Reno. 'The Stories We Tell' - November 2017 - San Francisco, CA. 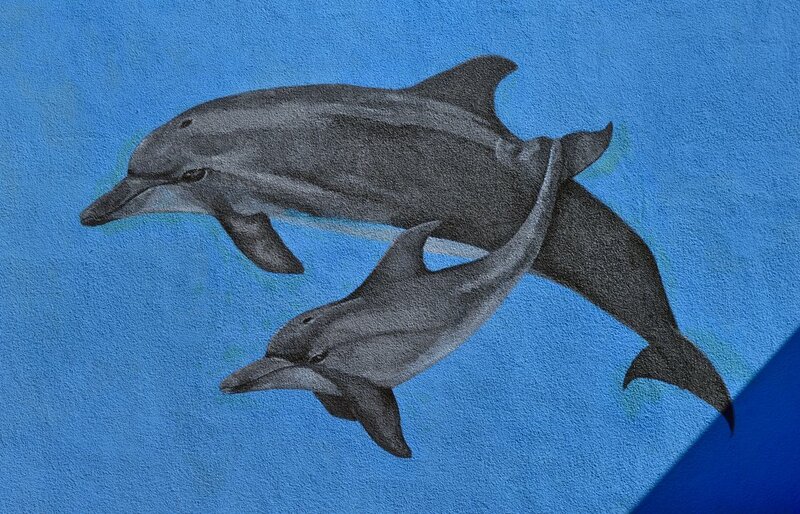 This mural was commissioned by the Commodore Sloat Elementary School in San Francisco. This piece was installed in the school's library. April 2018 -Several murals were created around the campus of the school. 8 Small Vignettes, 4 Signs (not pictured) and a large wall mural were installed on the lower playground during the month of April. Thank you for your interest in murals and adding beauty to your school, office, home or city. For inquiries, please contact us at talaveraballon@gmail.com or Josh@undersong.com .